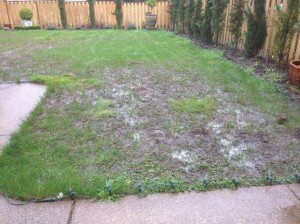 Cranefly is one of our biggest lawn insect problem in the Willamette Valley. If you have a sizable population they can do considerable damage to a rye grass lawn. The complete life cycle of a cranefly has four unique stages. The first is the egg stage, then the larvae stage, followed by the pupae and finally the adult stage. Eggs can be spread anywhere and everywhere by the adult, but they need the right environment to hatch, which is wet, shady and clay soils. If you have good drainage or sandy loam soil, you typically won’t have an issue. Once the egg has hatched it moves into the larvae stage. This stage is the feeding stage and where the damage occurs. 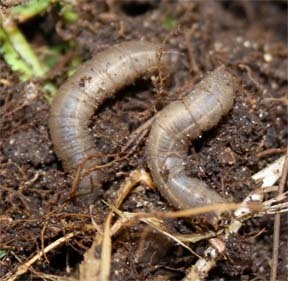 This stage can start in the late fall or in the early spring and continue through the spring until the larvae mature and move into the third stage pupae. This is where the larvae begins to transform and eventually reach the fourth stage which is the adult stage (early summer into early fall). They are similar to large mosquito and they fly around randomly dropping eggs. The only time you can treat and get control is in the larvae (feeding) stage. Damage will look like blades of grass have been chewed off and the crown of the plant is left. You can lift up small chunks of turf in these areas to check for larvae. Turf can recover if you detect damage early, if not, a lawn may need to be overseeded in the spring to help the lawn fill back in. If you suspect you may have cranefly click here to contact us and we can send one of our Plant Health Care Technicians out to provide a free assessment.